1995 is the year it all begins. The first album of Arena was released, featuring Clive Nolan (keyboards) and Mick Pointer (drums), with Cliff Orsi (bass), Keith More (guitar) and John Carson (vocals). This excellent piece of work entitled Songs From The Lions Cage and released on Arena’s own ‘Verglas’ label, is very well received and a new progressive rock legend has been born. 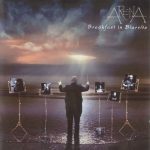 A very few critics react by saying that Arena clearly reflects shades of a Fish-era-Marillion, with Mick (ex-Marillion) on drums and a vocalist whose voice resembles elements of Fish’s voice. However, the music is vibrant and fresh, and the album contains instant classics like Jericho, the epic Solomon and the emotional Crying For Help IV. Typical for the album are the short instrumental interludes (the Crying For Help-series) that separate the non-instrumental tracks: a format that returns on their next album. Unfortunately, the band has to deal with the swift departure of two band members: singer John Carson in September 1995, and bass player Cliff Orsi in May 1996. However, Arena switly introduces two excellent replacements: Paul Wrightson as the new singer, and John Jowitt (well-known for his contributions to both IQ and Jadis) on bass. This of course led to curiosity: what effect will this have on the next album? In 1996 the answer is given. Pride is the new album, with renowned producer Simon Hanhart behind the mixing desk. The result is astonishing, and despite the changes in the line-up the music and cover feel comfortably familiar. Paul’s voice is not totally unlike John’s, but there is just a tad more power and aggression. 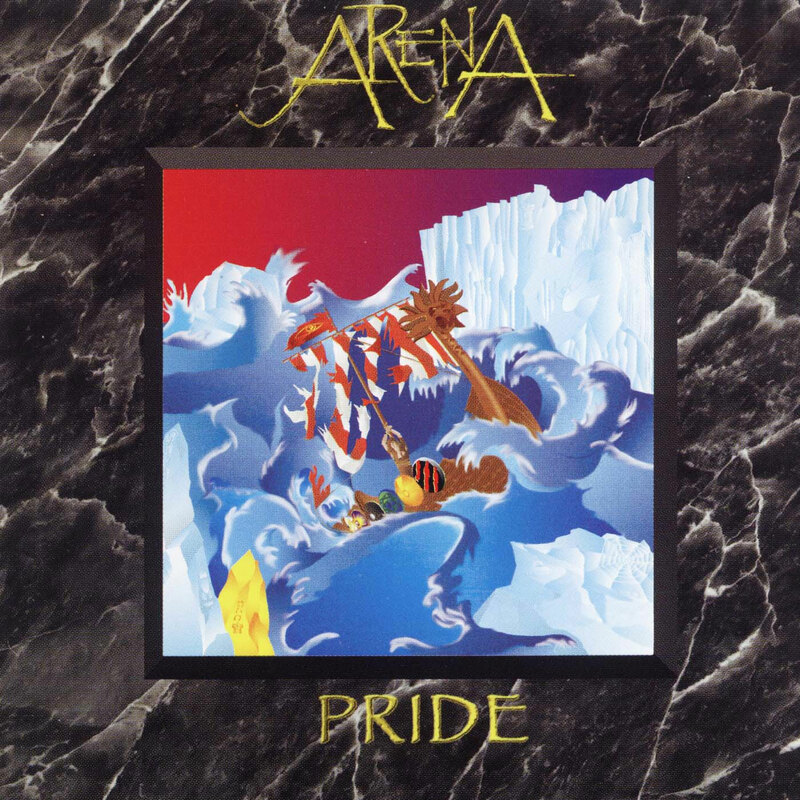 Besides proving that Arena has not lost the ability to write excellent songs, this album displays the musical capabilities of the individual band members, with perhaps the best examples being the a capella Crying for Help VII, in which new singer Paul gets the chance to stretch his vocal chords, and the closing epic Sirens with its fierce instrumental mid-section. A tour follows, and there is a fan club release of an Edits EP (with a sing-along version of Empire Of A Thousand Days!). However, again, luck is not on Arena’s side when in 1997 Keith More leaves the band. The new guitarist is John Mitchell, who immediately gets the chance to prove himself on the EP The Cry. This EP consists of (mostly reworked versions of) the Crying For Help-collection from the first two albums. Also, the aggressive new song The Healer is featured on this EP. 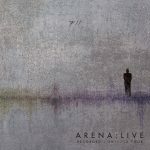 In that same year, Arena’s first live recording is released. Produced by John Mitchell, Welcome to the Stage! (Combined with the first fan club release Welcome Back! To The Stage) gives a good overview of Arena’s music and captures the atmosphere of an Arena live concert very well. Then, in 1998, the Arena classic The Visitor is released. Still the favourite Arena album for many fans, The Visitor is an intense package of music, lyrics and artwork that are almost inseparable. It grabs you attention and keeps you on full throttle until the last dying notes, leaving you with the strong desire to start the album again, straight away. The Visitor is a concept album built around an idea by Clive Nolan. The mind-boggling concept behind it has resulted in some pretty dark lyrics and intense musical fireworks. No more epics like Solomon or Sirens on the first albums, but an album being an epic in itself, consisting of relatively short songs telling a story (although many people consider The Hanging Tree the epic of the album) and building towards a climax. All of this is accompanied by stunning artwork, designed by Hugh Syme (famous for his work with amongst others Rush, Fates Warning and Megadeth), that helps you to get in the right mood. Artwork like artwork should be. Individual highlights of the album are A Crack In The Ice and The Hanging Tree. Needless to say, The Visitor is highly acclaimed everywhere and a successful tour follows, during which Paul proved to be a great actor with his interpretation of the characters from the booklet of The Visitor. 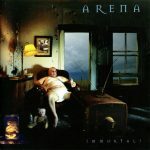 1999 – a somewhat quiet year for Arena, as no album is released. Some of the members are working on side projects (John on The Urbane and Clive on the Jabberwocky project with Oliver Wakeman), which are all released by Verglas. Unfortunately, 1999 is also the year in which Paul Wrightson stops being a part of the band. Again the search for a charismatic singer starts, and this time the man for the job is Rob Sowden, a personal acquaintance of John Mitchell. Despite the fact that it is difficult for Rob to replace Paul, as Paul was considered the best Arena singer by many, Rob succeeds in convincing the crowd of his talents during an acoustic fan club gig in May 1999 – the day on which the new fan club CD (The Visitor Revisited) is released as well, featuring the first appearance of Rob on CD. The next shock in 1999 is the fact that John Jowitt has also decided to leave the band, in order to pursue other interests. He is replaced by well-known prog bass-player Ian Salmon, who has also played in Clive’s other band Shadowland for ten years, and is an excellent (acoustic) guitar player as well. The first album on which both Rob and Ian appear ‘officially’, is the 2000 release Immortal?, for which the writing sessions have started in late 1999. 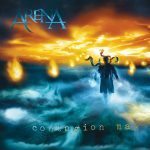 Again, the album is an absolute killer and Arena has proven that they have succeeded in turning the setback of yet another two line-up changes in 1999, into something absolutely positive! Immortal? is not a concept album like The Visitor, but it is a ‘conceptual’ album, as Clive puts it. Food for thought again, thanks to Clive! The music contains very strong atmospheres, and varies from partly acoustic ballads (Friday’s Dream) to crunching epics (Moviedrome), providing some of their most popular tracks with the fans. Both Rob and Ian are convincing and comfortable in their new roles, making it seem they have been part of the band forever. Again a tour follows, which results in the ultimate live Arena album: Breakfast In Biarritz, which is released in 2001. 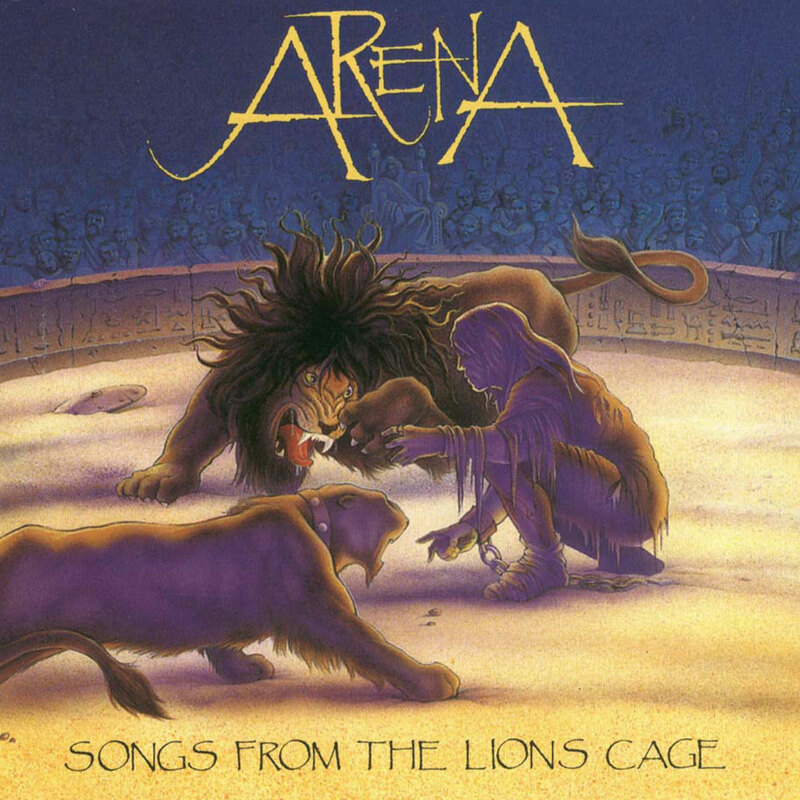 A CD that also sees the light of day in 2001 is the third fan club CD Unlocking The Cage 1995-2000, which offers exclusive material from all Arena-era’s and thus offers a good overview for all Arena fans. Touring Germany with Saga is scheduled in 2001 as well, and the boys get busy with their side projects and other hobbies. Clive is busy touring with Pendragon, while Rob and John are working on solo albums. The long-awaited moment has come, January 2003 brings the release of Contagion! Being the first subsequent studio album with the same line up, the album reflects the growing unity of the band. It’s another concept album, this time based on a short story written by Clive, and offers ‘a dark vision of the future’. 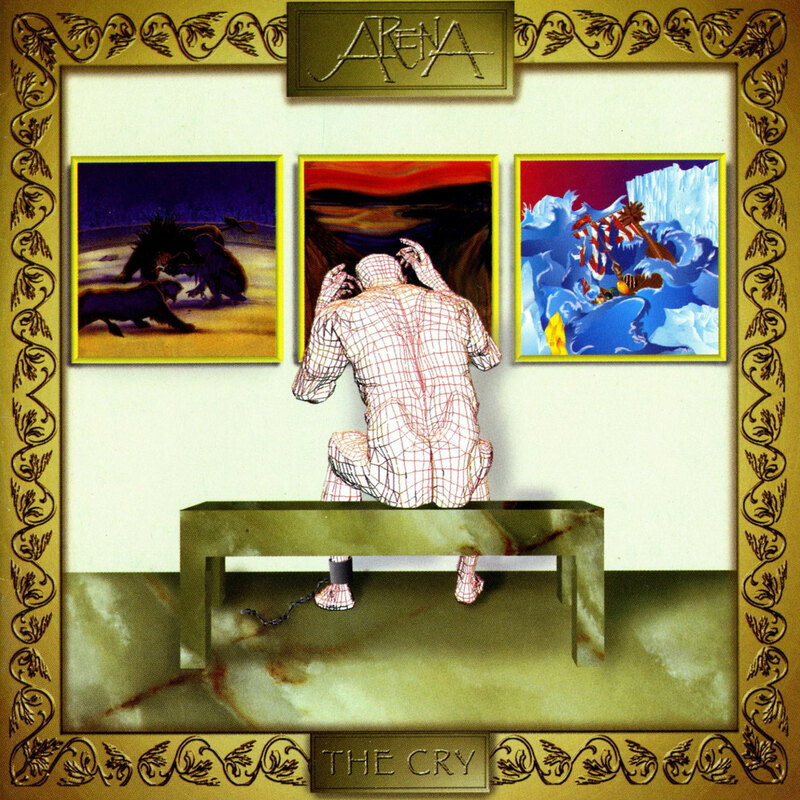 Surpassing The Visitor with even better artwork by fantasy artist David Wyatt and an intense musical roller-coaster ride, the album leaves both fans and critics stunned. It’s impossible to name any highlights – the album is one coherent whole. 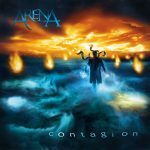 It gives Arena their first chart position in the band’s existence, in both Germany and Holland. The band embarks on a new world tour, which coincides with the release of Contagious, the first of the two EP’s that together fill the gaps in the Contagion concept. The live show, with a more or less integral live performance of the new album and an irresistible mix of classics from the previous ones and supported by stunning video images, also surpasses everything Arena have done so far. Furthermore in 2003 we saw the release of the fourth Cage CD Radiance and Arena’s first DVD Caught In The Act! Pepper’s Ghost released in 2005. While the writing process followed the usual pattern – Clive, Mick and John working separately on ideas and then combining them together into well-structured compositions, the album also features extravagant pieces like Opera Fanatica, Clive’s instrumental epic, which is far from the usual Arena style. 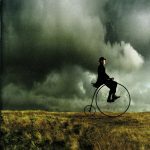 Pepper’s Ghost is a conceptual album based around the subject of various signs of madness, which together with a masterly artistic design of a booklet creates an impressive result. In 2006, the band’s second official DVD, Smoke and Mirrors, is released. 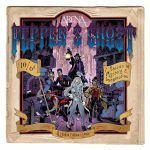 The show, recorded at the Wyspianski Theatre in Katowice, Poland presents the mixture of the new Pepper’s Ghost material and some of Arena classics like Solomon. A selection of songs recorded during the 2005 Reunion Concert at the Zoetermeer Boerderij in Holland is added as a special treat. Smoke and Mirrors turned out to be the last official Arena release before a 6-year-long break. It was also the final release featuring the singer, Rob Sowden, and the bassist, Ian Salmon. The years 2006 to 2011 are equally busy for all the band’s members. Clive’s new project, Caamora gains recognition after the release of his rock opera She, which is subsequently staged in theatres in Europe and South America. John Mitchell joins It Bites; Mick founds the Mick Pointer Group, which continues to delight fans with a new live rendition of Marillion’s Script for a Jester’s Tear. The new era begins in 2011 when the band gets together again in a slightly altered line-up. Clive, Mick and John Mitchell are once more joined by their old Arena pal, John Jowitt on bass! The question of a new vocalist is widely discussed by the fans and the eventual announcement of the choice of Paul Manzi, meets with enthusiasm and appreciation. 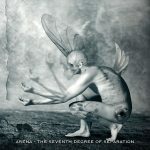 The release of The Seventh Degree of Separation in 2011 confirms that the lineup is strong and Arena is in great shape! The Seventh Degree of Separation dwells on the subject of death and explores Frigyes Karinthy’s theory of Six Degrees of Separation expanded by the seventh degree, which, according to Clive, would link the living to the world of the dead. The release of the album is followed by the European tour during which some of the new material is presented in combination with Arena’s greatest classics. In 2013 two live releases saw the light – A new DVD, Rapture, recorded in Poland at Katowice Wyspański Theatre, and Arena Live 2011/2012 – a 2 disc CD documenting a year and a half of touring with the new line-up. The songs represent the Seventh Degree Of Separation alongside Arena favourites such as Valley Of The Kings, Solomon, Ascension, Riding The Tide, Serenity, The City Of Lanterns, Bedlam Fayre, Don’t Forget To Breathe and The Visitor. In 2014 a limited edition of the 10th anniversary Contagion Max CD is released. The new version of the album has been repackaged in a 2 disc digipack with new artwork by Planet Twig sitting alongside the original art by David Wyatt. The album is also enlarged by the Contagious and Contagium EP tracks inserted into the correct running order with the narrative detailing the overall concept.